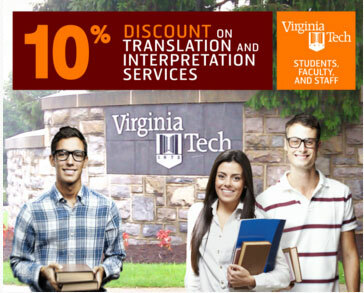 A special 10 percent discount on all the language services needs of students, faculty and staff of Virginia Tech. We are happy to be of service to such a diverse community of learners. 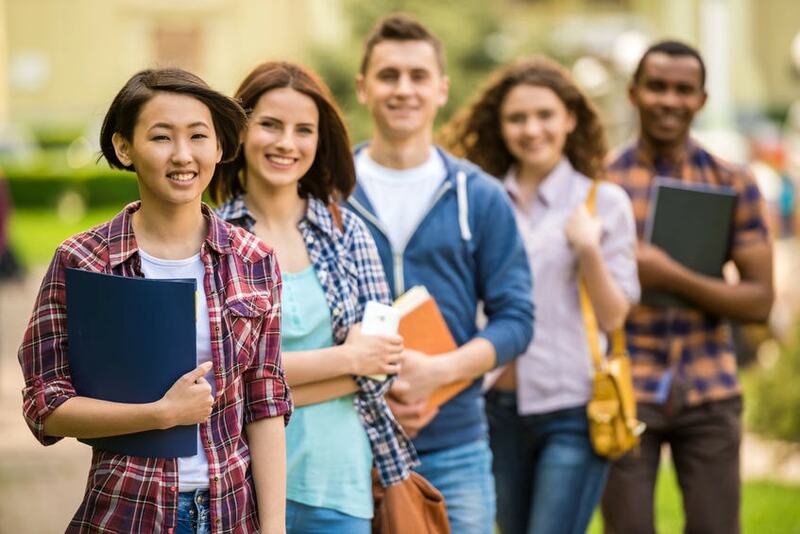 Day Translations wishes to provide whatever type of language services the staff and 31,000 students of Virginia Tech need in their respective work. We are always proud to partner with learning institutions, because in so doing we broaden our corporate perspectives and provide us the chance to give back to the community. Day Translations could provide various languages to serve the needs of such a big international student body. As a leading language services provider, we offer academic evaluation, certified transcript translation, document translation and interpreting services. We can also provide assistance on passport and immigration requirements. No matter what time of day you need our assistance for your language services need, you can easily reach us by phone or email because we are open 24/7. Virginia Tech as it is popularly known, is a public land-grant university located in Blacksburg, Virginia. It has educational facilities in five locations in the state as well as in Switzerland under the study-abroad program. The university was founded in 1872 and had undergone four name changes. It was first named as the Virginia Agricultural and Mechanical College before it became Virginia Agricultural and Mechanical College and Polytechnic Institute in 1896. In 1944 it was known as the Virginia Polytechnic Institute. In 1970, it was changed once again to the name that it carries to this day. Virginia Tech has a student population of 31,000 and offers 225 undergraduate and graduate degree programs, and manages a $454 million research portfolio. It has seven main research institutes, doing studies on life sciences, bioinformatics, transportation safety, arts, creativity and technology, critical technology and applied science, medical and on environment, culture and society. Virginia Tech is home to about 9,000 undergraduate and graduate students who live on campus, residing in the university’s 29 residential halls. It has a long roster of graduates who made a name in the military, academia, business, government, music, literature, various sports as well as television and movies. Notable are craigslist.org founder Jim Buckmaster; NASA architect of Mission Control, Chris Kraft; George Nolen, the President and CEO of Siemens Corp.; Jess Cliffe, the co-creator of Counter-Strike; and Supreme Court of Virginia Judge Lawrence L. Koontz, Jr.